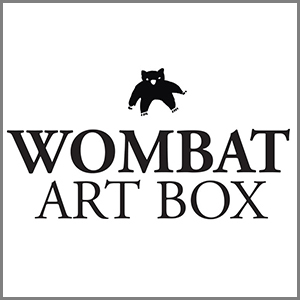 Wombat N°30 is a special edition dedicated to contemporary Chinese artist Liu Bolin 刘勃麟. It was conceived in collaboration with Photography of China on the occasion of his two major solo exhibitions at the Galerie Paris-Beijing and the Maison Européene de la Photographie in Paris in September 2017. Wombat N°30: Liu Bolin. Two covers available. This box contains two numbered photographic prints and one portfolio composed of ten images of Liu Bolin. Printed on Hahnemühle fine art papers, these prints were carefully produced by the Paris based laboratory Processus. “When I began the Hiding in the City series, my photographs reflected a refusal of fatality, and a questioning of the ties connecting me to my existence.” Everything began in 2005, when Liu Bolin’s workshop, alongside those of other artists, was destroyed in the village of Suojia, in the northern suburb of Beijing. As a sign of protest, Liu Bolin created a photograph in the ruins themselves, hiding himself behind the thick layers of paint covering his body. Since then, Liu Bolin has continued to camouflage himself to better reveal the contradictions in contemporary society. “Some say that I fade into the landscape – I would say that it’s the environment that takes possession of me.” If he often chooses natural, urban or cultural landscapes, neither does he hesitate to stage his own environments. Here, he is a civilian, barely discernible in front of a police officer who is covering his eyes. Captive and blind, this subject references the obliteration and imprisonment resulting from the frenetic pursuit of development. “China is facing a delicate time: before the country had nothing, now it has everything. Yet there is no ensuing thought and consideration. If there wasn’t this spiritual and cultural void caused by China’s development, my photographic performances would not exist.” This engagement has resulted in censorship: in 2009, this photograph was taken off the wall of a Beijing exhibition. By paying tribute to the celebrated work of Eugène Delacroix, painted in 1831, Liu Bolin articulates ideas which have been important to him since the beginning of his career: the struggle against obscurantism, and the role of tradition in contemporary society. Created using a reproduction in Brussels, this 2013 photograph is part of a triptych whose themes explore notions of freedom, made in collaboration with the French artist RERO. “Lui Bolin was seized by the beauty and force of this Delacroix painting, Liberty Guiding the People,” explains Romain Degoul, manager of the Galerie Paris-Beijing. What’s the secret of his own production? His “assistant-painters”, who take around ten hours and a lot of paint to make him invisible. Without ever resorting to tricks or retouching, the performance so carefully directed by Liu Bolin is then captured in time through photography.